Fantastical fabrics, a melange of more-is-more prints, and eccentric accent pieces. 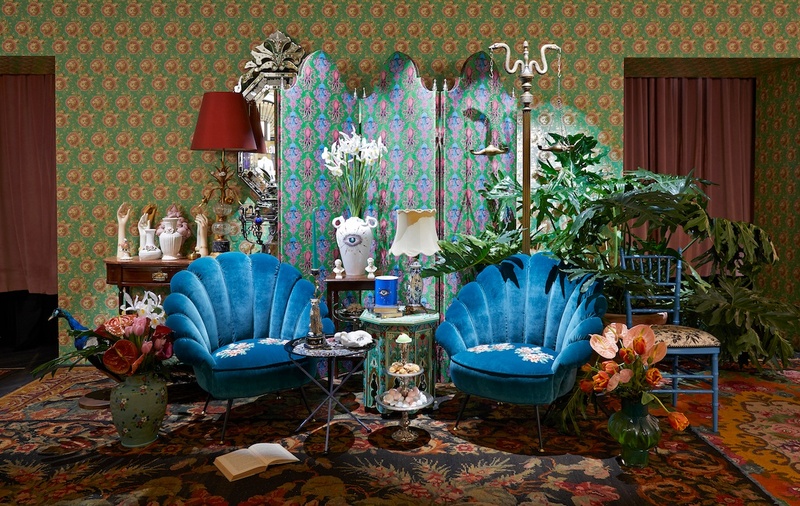 Gucci Décor is a maximalist’s dream. 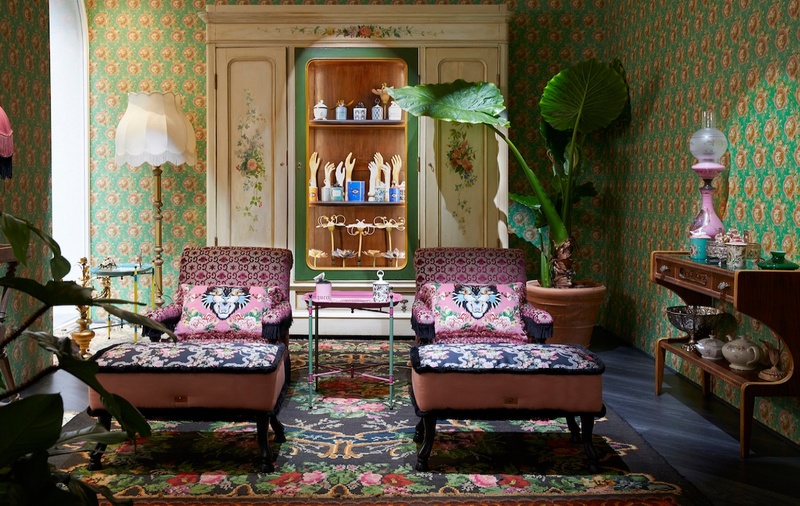 The home interior extension of the Italian maison reimagines the label’s whimsical, romantic, and retro fashion aesthetic. Located at Milan’s 19 Via Santo Spirito, the temporary store launched in tandem with Milan’s international furniture fair Salone del Mobile and will be open through June. 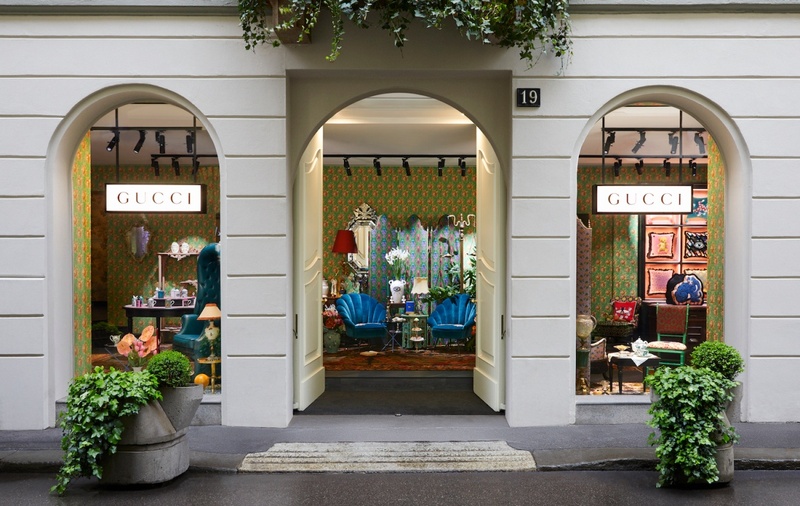 The store has two level and it features walls covered in Gucci’s patterned wallpaper. You’ll find all manners of home furnishing here, with many embellished with the maison’s motifs and signature prints including restored antiques. Think lacquered chairs upholstered with velvet seats featuring tiger embroideries, wallpapers printed in vinyl and even silk, as well as screens crafted in wood and velvet. Some porcelain pieces such as crockery with a herbarium print, and scented candles are designed by Florentine company Richard Ginori. Log into the Gucci app to see what a piece could potentially look like in your home. Augmented reality technology allows you to choose from the featured items on the decor section to virtually arrange them in your space in real time on your phone. Can’t make it to the store in Milan? Shop the collection in Gucci flagship stores and Gucci boutiques, at gucci.com, and in selected specialty stores.